Different places get put on my list for different reasons. This one is obviously for the beer, but I was also intrigued by their concept to give proceeds away. You see every time you drink a beer or eat some food you can be excited about the fact that some of the money is going to some pretty great causes. When I heard they were supporting IJM (plus 3 other organizations that you can read about here) I knew I needed to get over to support these guys, because they are trying to make a difference in the world, one beer at a time. I would like to say I went in and tried a bunch of their beers, but truth is one sip of the Eliot IPA and I was hooked. This is a great summer IPA with it’s tropical fruit flavors, which is why I had two. We went with friends, but after they all tried my IPA, they ordered it as well. Cheese plate. Besides the beer this was my favorite thing of the night. For food we started with the Cheese Plate. They had 3 great cheese selections for the night. I asked him 3 times what the brie was, and I never wrote it down because I was sure I would remember it. I did not, but let me tell you it was outstanding and it was from just up North in Washington. 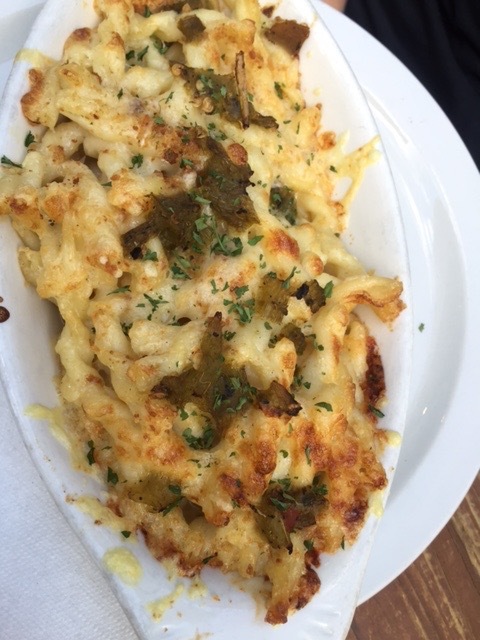 For our meals we got the Mac n Cheese, which was good. 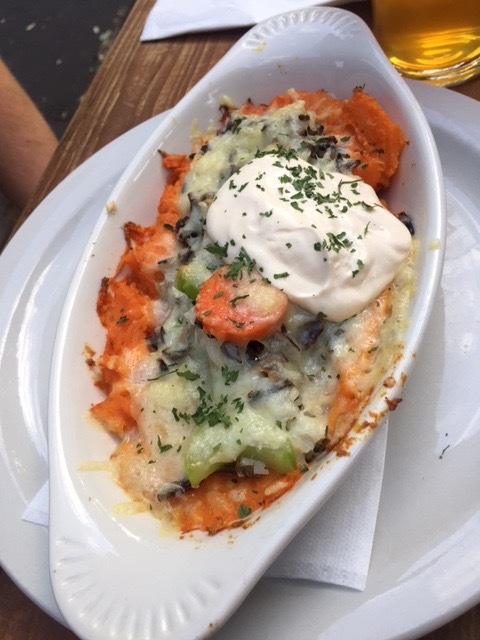 We did get it with the added chiles which was a nice addition for added flavor. 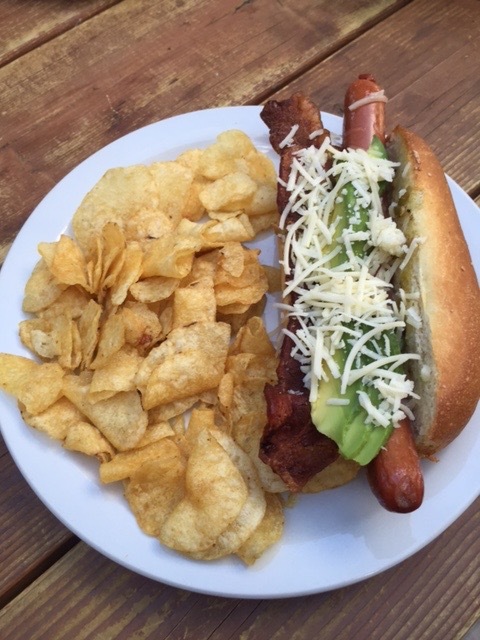 The Albuquerque Hot Dog, which was a good dogger with added toppings. 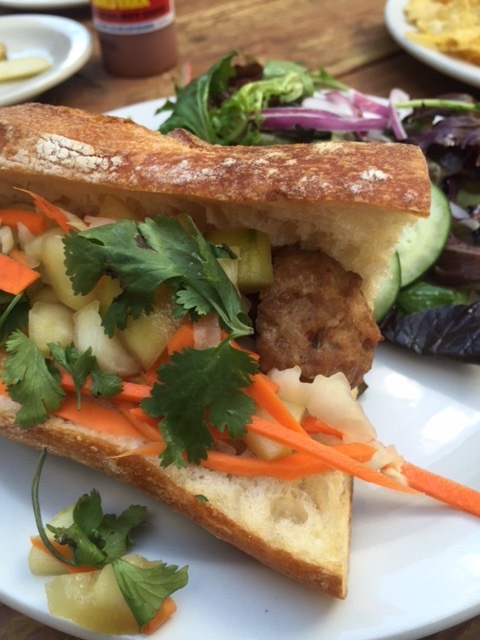 I got the Bahn Mi, which was good. It was served on very crusty bread. I only note that because our server wanted to make sure I was going to be ready for that, since it was more crusty than most. He was right, but the bread was so good. So do your part and drink a beer. Atmosphere was a great warehouse brewery feeling. Very, very open and great outdoor seating when the weather permits. Service was great. Not just our server but everyone else helping bring food and beer out kept things moving quickly. Price is great. $4.75 for a beer. That price is hard to beat. Entrees were $8-$10 a piece. 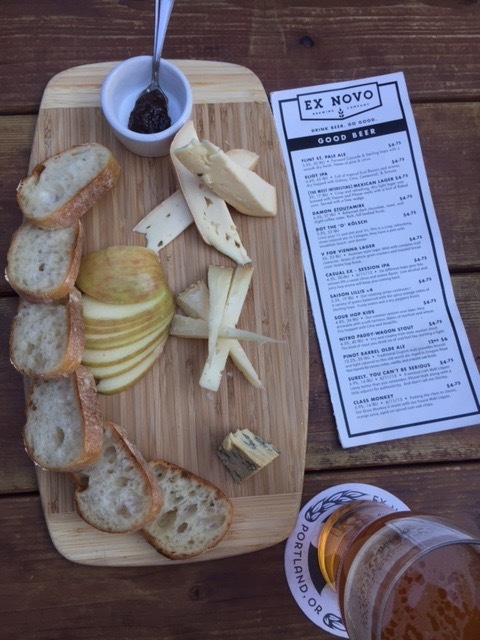 Not to miss item besides the beer is the cheese plate. Drinks were obviously their beer, which was fantastic. 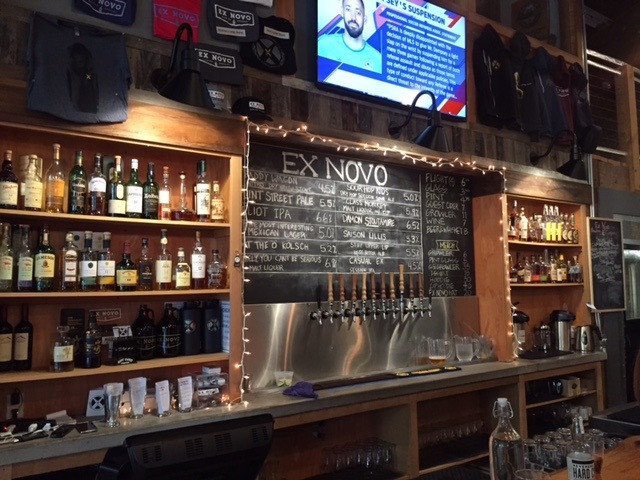 Ex Novo is located in N Portland. Thank you for sharing this topic and for eating healthy you can try the eating healthy.your efforts at weight loss aren’t going to be successful if you carry on eating burgers, cakes and other fatty foods. Calculators to help you estimate your energy (kilojoule) needs, nutrient requirements and the number of serves from the five food groups you need daily.